Nostalgia Factor: Pretty high. The this is the M&C of our youth. 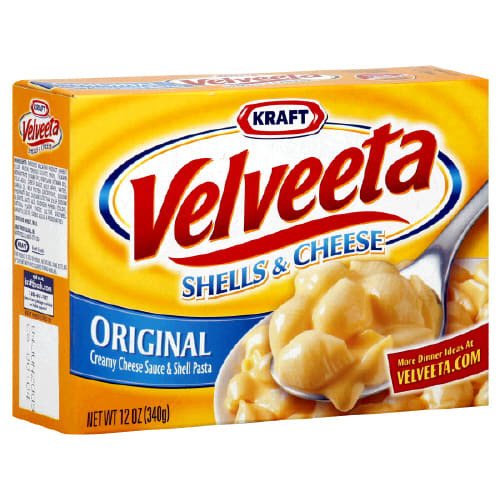 Like nothing you could ever recreate in your kitchen, Velveeta's gloriously over-processed cheese sauce has an unaturally silky texture and, unlike most M&C's, has more cheese than pasta, every shell's crevice oozing with day-glo orange cheese. Sure, the cheese is faintly reminiscent of chemicals, but what can we say, we love us some neon food!